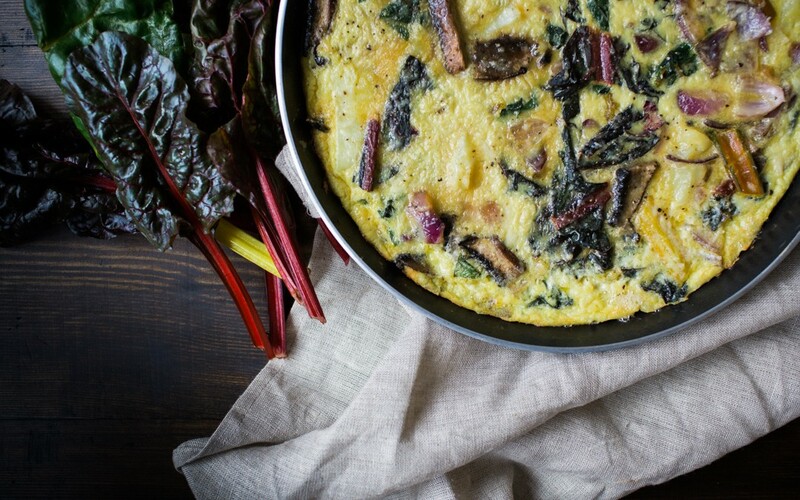 [I] made this Mushroom and Rainbow Chard Frittata yesterday and wasn’t quite expecting it to turn into breakfast, lunch and dinner. I hadn’t quite planned it that way, but it tasted so good and kept so well in the fridge that it kept speaking to me until it was gone. 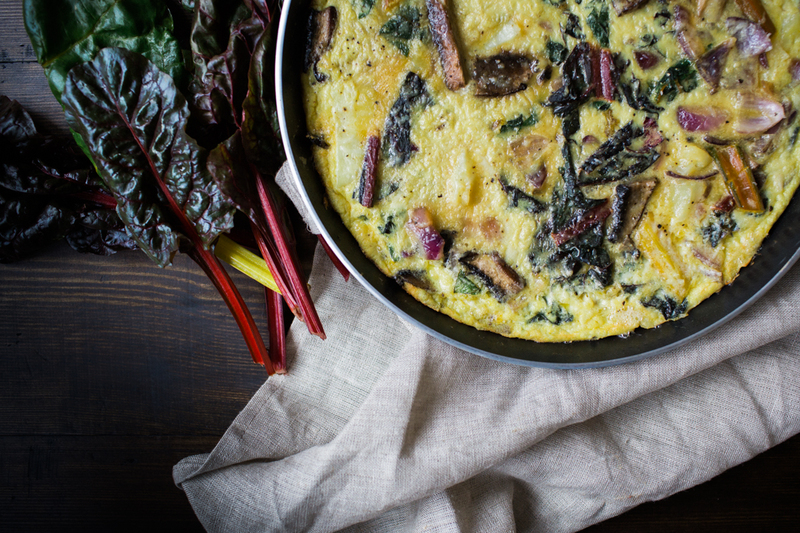 I chose the ingredients pretty much by walking around Riverford (my local farm shop) and picked out some seasonal ingredients that I fancied photographing and that would combine well in a frittata. 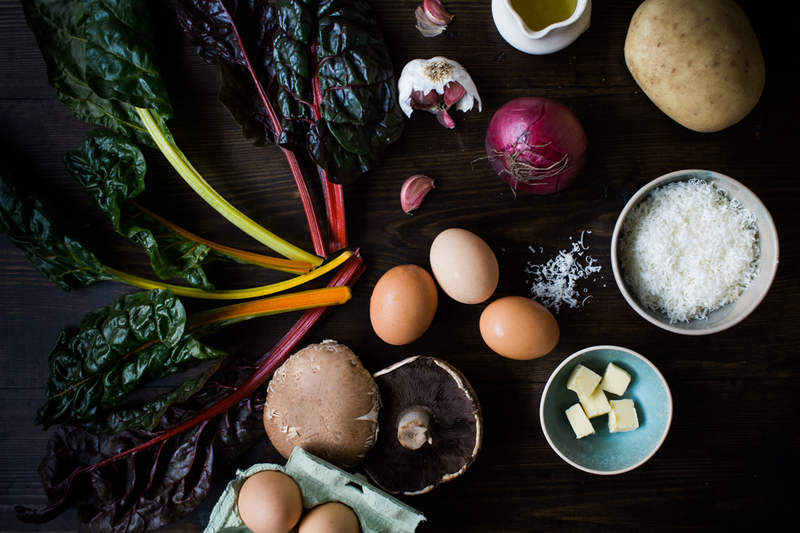 So I chose one of my favourites, rainbow chard and a handful of beautiful big field mushrooms. Into the frittata these went, along with potatoes and of course my favourite local eggs from Orchard Organic. The inner photographer in me got a bit geeked out by the way the light fell on these chard leaves, all in their rainbow glory. 2 large field mushrooms, sliced. 1. Preheat the oven to 200°C. Boil the sliced potatoes in a pan for 10 minutes or until tender when pierced with a fork. 2. 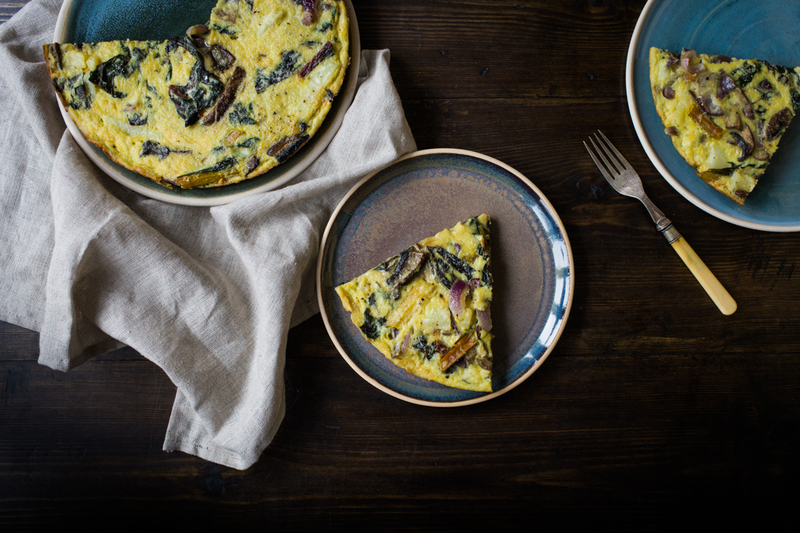 In a large frying pan or skillet, heat the olive oil and add the sliced red onion and field mushrooms until softened. Then add the garlic and fry for a further one minute. 3. 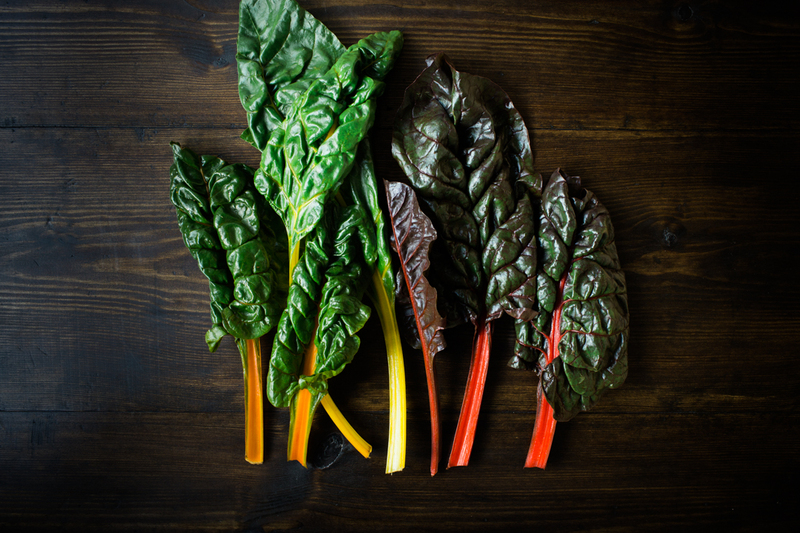 Add the rainbow chard and a little dash of water, then cover and cook until the chard wilts. 4. Whisk the eggs in a bowl and add the salt and cheese, then stir in the onion and chard that has now cooled slightly. 5. Heat the butter in a large skillet or frying pan over a medium heat then add the egg mixture. Cook until the bottom and sides begin to set, then place in the oven and continue cooking until the centre is solid. If using a frying pan which can't be placed in the oven, you could equally place under the grill if safe to do so. Continue cooking for approx. 5 minutes until the middle has set.